You can also check it out live on repl.it sandbox. Feel free to play around with the code and fork this repl at https://repl.it/@vadimdemedes/ink-counter-demo. emoj - Find relevant emoji on the command-line. emma - Terminal assistant to find and install npm packages. swiff - Multi-environment command line tools for time-saving web developers. changelog-view - Tool view changelog in console. Ink's goal is to provide the same component-based UI building experience that React provides, but for command-line apps. It uses yoga-layout to allow Flexbox layouts in the terminal. If you are already familiar with React, you already know Ink. The key difference you have to remember is that the rendering result isn't a DOM, but a string, which Ink writes to the output. Jest - Implementation of basic Jest UI (live demo). Counter - Simple counter that increments every 100ms (live demo). Since Ink is a React renderer, it means that all features of React are supported. Head over to React website for documentation on how to use it. In this readme only Ink's methods will be documented. Mount a component and render the output. Output stream where app will be rendered. Input stream where app will listen for input. Configure whether Ink should listen to Ctrl+C keyboard input and exit the app. This is needed in case process.stdin is in raw mode, because then Ctrl+C is ignored by default and process is expected to handle it manually. If true, each update will be rendered as a separate output, without replacing the previous one. This is the object that render() returns. Replace previous root node with a new one or update props of the current root node. Manually unmount the whole Ink app. Returns a promise, which resolves when app is unmounted. Ink uses Yoga - a Flexbox layout engine to build great user interfaces for your CLIs. It's important to remember that each element is a Flexbox container. Think of it as if each <div> in the browser had display: flex. See <Box> built-in component below for documentation on how to use Flexbox layouts in Ink. <Box> it's an essential Ink component to build your layout. It's like a <div style="display: flex"> in a browser. Width of the element in spaces. You can also set it in percent, which will calculate the width based on the width of parent element. Height of the element in lines (rows). You can also set it in percent, which will calculate the height based on the height of parent element. Sets a minimum width of the element. Percentages aren't supported yet, see https://github.com/facebook/yoga/issues/872. Sets a minimum height of the element. Percentages aren't supported yet, see https://github.com/facebook/yoga/issues/872. This property tells Ink to wrap or truncate text content of <Box> if its width is larger than container. If wrap is passed, Ink will wrap text and split it into multiple lines. If truncate-* is passed, Ink will truncate text instead, which will result in one line of text with the rest cut off. Note: Ink doesn't wrap text by default. Allowed values: flex-start, center, flex-end, space-between and space-around. The <Color> component is a simple wrapper around the chalk API. It supports all of the chalk's methods as props. This component can change the style of the text, make it bold, underline, italic or strikethrough. <Static> component allows permanently rendering output to stdout and preserving it across renders. Components passed to <Static> as children will be written to stdout only once and will never be rerendered. <Static> output comes first, before any other output from your components, no matter where it is in the tree. In order for this mechanism to work properly, at most one <Static> component must be present in your node tree and components that were rendered must never update their output. Ink will detect new children appended to <Static> and render them to stdout. Note: <Static> accepts only an array of children and each of them must have a unique key. See examples/jest for a basic implementation of Jest's UI. <AppContext> is a React context, which exposes a method to manually exit the app (unmount). Exit (unmount) the whole Ink app. If exit is called with an Error, waitUntilExit will reject with that error. <StdinContext> is a React context, which exposes input stream. Stdin stream passed to render() in options.stdin or process.stdin by default. Useful if your app needs to handle user input. See setRawMode. Ink exposes this function via own <StdinContext> to be able to handle Ctrl+C, that's why you should use Ink's setRawMode instead of process.stdin.setRawMode. Ink also enables keypress events via readline.emitKeypressEvents() when raw mode is enabled. <StdoutContext> is a React context, which exposes stdout stream, where Ink renders your app. ink-select-input - Select (dropdown) input. ink-box - Styled box component. ink-gradient - Gradient color component. ink-big-text - Awesome text component. ink-image - Display images inside the terminal. ink-color-pipe - Create color text with simpler style strings in Ink. ink-progress-bar - Configurable component for rendering progress bars. ink-console - Render output from console[method] calls in a scrollable panel. ink-confirm-input - Yes/No confirmation input. ink-broadcast - Implementation of react-broadcast for Ink. ink-router - Implementation of react-router for Ink. ink-text-animation - Text animation component. ink-figlet - Large text component with Figlet fonts. ink-divider - A divider component. 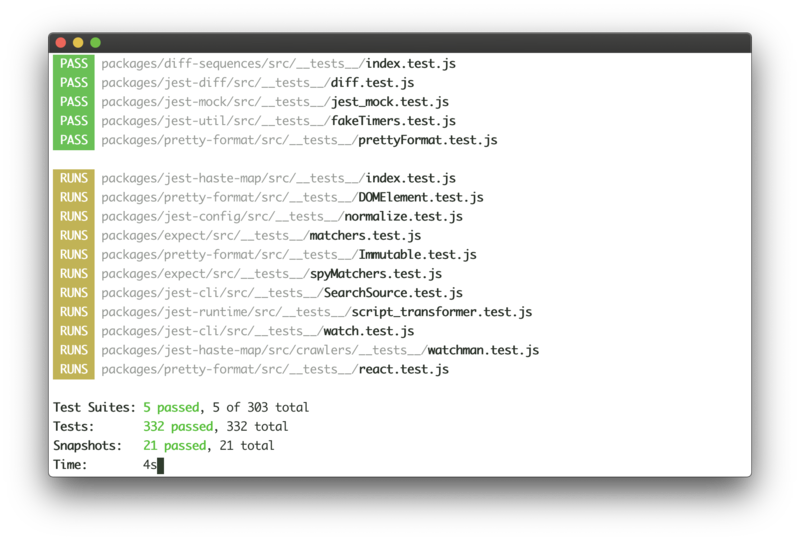 Visit ink-testing-library for more examples and full documentation.